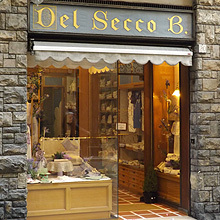 The company B. Del Secco was founded in 1929 by Bruna Del Secco, fond of embroidery, who realized garments of great value for bridal outfits. In 1961 Bruna with her son Spartaco opened a shop in the historic center of Florence — in Via Guiccciardini, a few steps from Ponte Vecchio and Piazza Pitti — and was thus able to broaden its customer base internationally. A tradition that lives on today. 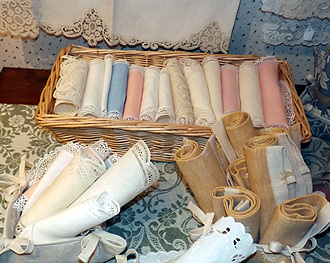 Antonella, granddaughter of Bruna, continues this activity with great passion, attentive to the needs of the customers and also creating custom garments — from simple canvas on all fabrics and colors to tablecloths and runners, bath towels, furnishings and layettes. All items are adjusted to the taste and style of contemporary life, but always in full compliance with those Florentine craftsmanship and high quality that from the beginning distinguish the production of the company B. Del Secco. 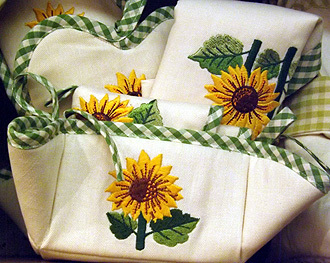 Florentine hand embroidered linens: finest hand-crafted linens from Florence since 1929.